Rachel A. Gordon is a Professor of Sociology and Faculty Fellow of the Honors College at the University of Illinois at Chicago and a faculty member of the Institute of Government and Public Affairs (IGPA) at the University of Illinois. She has a B.S. in psychology from Pennsylvania State University and an MPP and PhD in public policy from the University of Chicago. She received pre-doctoral training in demography and post-doctoral training in work-family research at the NORC Research Centers as well as through the Workshop on Cluster-Randomized Trials in Education at Northwestern University. Gordon's research broadly aims to measure and model the contexts of children and families' lives, often using longitudinal data sets. She has examined numerous contextual and social factors that affect children and families, including the use of child care and preschool quality measures for high-stakes policy purposes, the health outcomes of child care and maternal employment, the implications of teenagers' looks for their social and academic achievement, the association between community context and child well-being, the relationships between youth gang participation and delinquency, the causes and consequences of grandmother co-residential support for young mothers, and the evaluation of an innovative job program for young couples. Gordon regularly engages with audiences beyond academia in order to both increase the relevance of her research for public decision-making and to share the results of her own and her colleagues' research with policymakers, practitioners, journalists and the public. For instance, since 2006, she has directed the Illinois Family Impact Seminars which provide evidence-based information to Illinois policymakers, practitioners, and the public on pressing family-policy issues that are currently facing the state. Gordon's professional service extends across many disciplines. She is completing her eighth term on the Editorial Board of the Journal of Marriage and Family, is on the Program Committee for the 2014 Spring Society for Research on Educational Effectiveness conference (responsible for Early Learning and Education), has served on the Strategic Planning Committee and Steering Committee of the University-Based Child and Family Policy Consortium, served three terms as co-chair of the Committee on Research, Policy and Public Information of the Society for Research on Adolescence, was Review Panel Chair for Applied Research, Program Evaluation and Public Policy for the 2010 Society for Research on Adolescence Biennial Meeting, was Co-Chair of the Panel on Policy, Intervention, and Vulnerable Populations for the SRCD 2012 Themed Meeting on Transitions from Adolescence to Adulthood, and has been a Council Member for the Section on Children and Youth of the American Sociological Association. 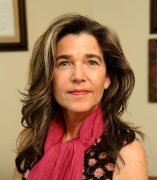 Gordon has received wide range of funding for her research and engagement activities, including research grants from the U.S. Department of Education (Institute of Education Sciences), National Institute of Child Health and Human Development, National Science Foundation, U.S. Department of Agriculture (Research and Innovation Development Grants in Economics [RIDGE] in the Economic Research Service), U.S. Department of Health and Human Services (Assistant Secretary for Planning and Evaluation), and the U.S. Department of Labor (evaluation contract through Jobs for Youth/Chicago) as well as engagement-related grants from the Foundation for Child Development, MacArthur Foundation, and the William T. Grant Foundation.